It's been a week now since I mixed up my beer and left it in a warm place to ferment (under my desk next to the boiler) so it's time to bottle and keg my brew. 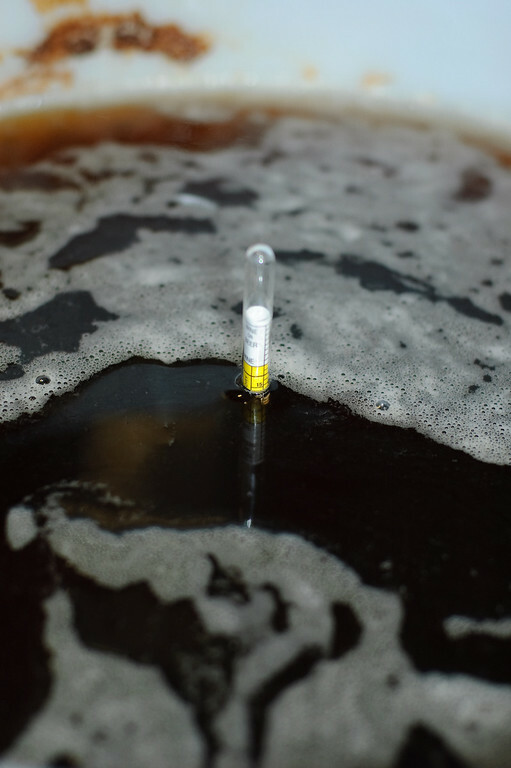 Over the past few days I've been taking little peeks to check if fermentation was still taking place. This is done by checking to see if little bubbles were still floating up to the top. 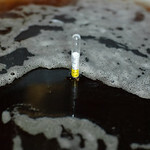 On the 5th day of fermentation I noticed the rate of the bubbling had dropped quite significantly, so I popped in the hydrometer and took note of the reading - approximately 1008. Apparently the Hambleton Bard kits drop to 1006, so I left it two more days, checking the gravity reading on each. By the 6th day the reading had dropped to about 1006 and hadn't changed on the 7th which made it ready in my books. The gravity has gone from about 1038 to about 1006 so the approximate ABV of the final beer will be about 4.34% - not bad at all. 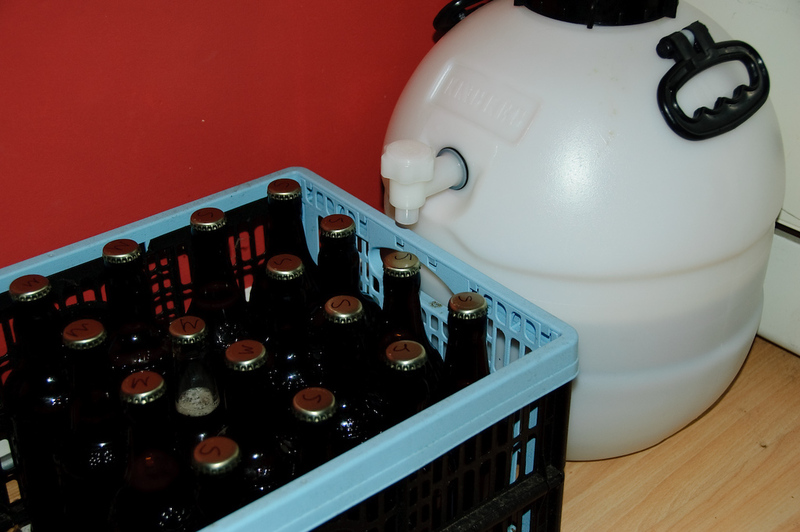 Safe in the knowledge primary fermentation was complete, I washed all my bottles (left over London Pride, Spitfire and Hobgoblin bottles work well) and my keg with copious quantities of hot water, washing up liquid and a little bit of sterilizer. Each bottle and the keg was then thoroughly rinsed - I don't want my beer tasting of Fairy liquid thanks - and allowed to dry before I set up my "bottling and kegging facility" - the kitchen counter, a large wooden storage box (to lift things slightly), the washing up bowl (to catch overflow etc), the bath mat (so I don't get sticky stuff all over the floor), a syphon (to get the beer out of the bucket) and a chair (for my bum). Time for priming the keg and bottles. Priming involves adding a little bit of sugar to encourage a second fermentation. This is what makes the beer fizzy. Different people have different methods of priming, some more elaborate than others. I'm lazy and can't really see any advantage of getting elaborate so I just add the sugar straight to the keg and bottles just before adding the beer. 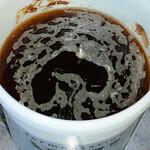 I created a little paper funnel and into 10 of the 16 bottles I placed half a teaspoon of brewing sugar (glucose powder). In the other 6 bottles I placed half a teaspoon of medium spray malt. The keg then got half a teaspoon of spray malt for each pint that would go into it. Given that I've brewed approximately 36 pints, that's 20 pints worth in the keg so I added 10 teaspoons of the spray malt to the keg. I've used two different sugars (spray malt should be considered a sugar here) as this is the first time I've use spray malt and want to compare the two different sugars to see how much of a difference it makes. Apparently the spray malt boosts the beer's natural body and at the same time gives a more rounded, mellow note to the beer. 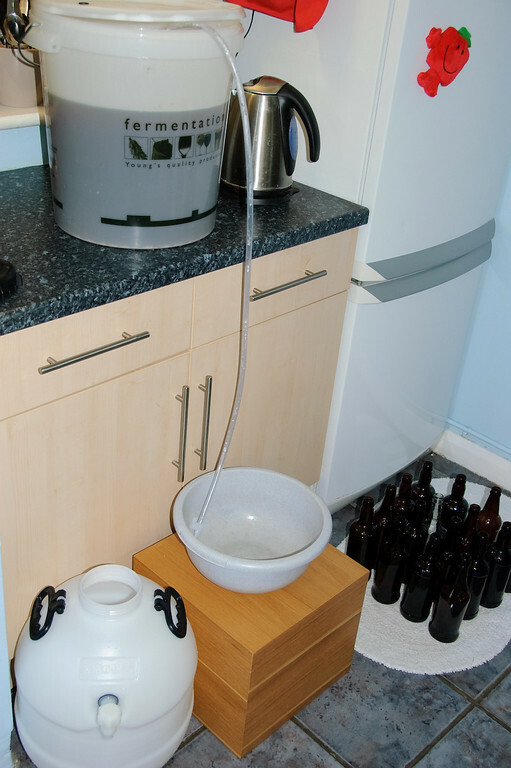 Once the keg and bottles were primed, I set to syphoning the beer from the bucket to each of the bottles and then the keg. This takes a bit of time as I try to reduce the amount of wastage (I'm down to about half a cup in total thanks to a tap at the end of the syphon) and also to ensure as little air as possible is mixed in with the beer whilst decanting. 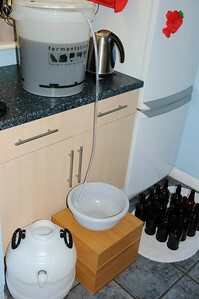 The syphoning pipe is also quite narrow so the flow rate isn't too high. I filled the bottles first, giving each a little swirl to help mix in the sugar/spray malt as each filled and then moved onto the keg, giving it a little swirl too. The keg naturally takes a long time to fill, so whilst it was filling, I capped each of the bottles. As this is all about saving money, I don't use a fancy crank-armed or automatic capper; I use a good ol' fashioned hammer on capper. It's cheap, simple and works perfectly. 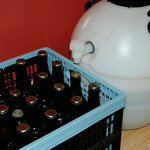 Touch wood - I've not lost a bottle to over vigorous capping yet. Once all the bottles were capped and the keg filled (I needed to carefully tilt the bucket at the end to get the last of the beer without picking up any of the dregs from the bottom), I wiped down everything with a wet cloth and placed them in a warm place (back under my desk next to the boiler) where they'll sit for 3 to 4 days, after which they'll be placed outside (cos it's a cold place) for the next two to three months, provided I can be that patient ;-) . And that's it. My beer is made and almost ready to drink. I'll report back in two to three months with the results of the sugar vs spray malt comparison. 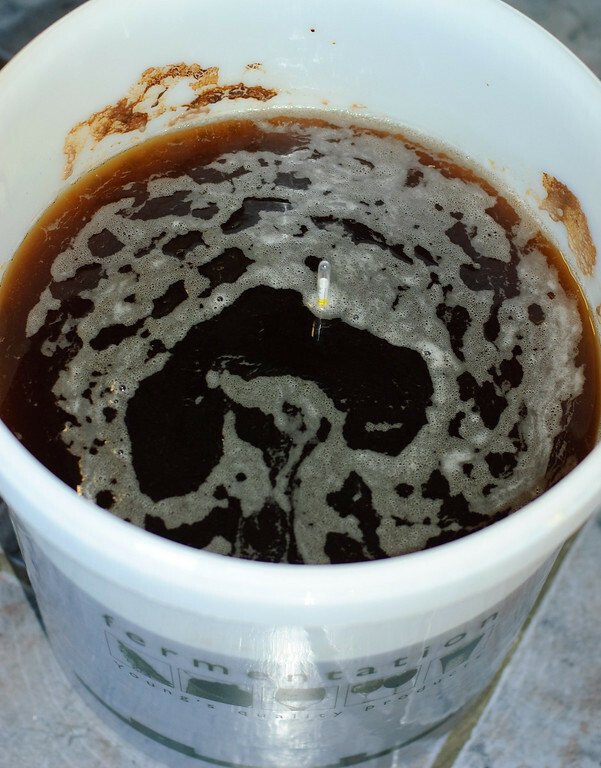 Oh yes, and if you're curious as to why I bottle AND keg my beer, it's so I can check how the secondary fermentation is progressing without "breaking the seal" on the keg and so I can see what the beer tastes like after a longer secondary fermentation (ie once the keg is empty).